Pierian Biosciences will present a poster with new data on ImmunoINTEL™, at the 33rd Annual Meeting of the Society for Immunotherapy of Cancer, to be heldtook place November 7-11, 2018 at the Walter E. Washington Convention Center in Washington, D.C. The poster, “ImmunoINTEL™, a flow cytometry based platform that identifies and quantifies the most critical cell subsets and related functional potential in dissociated solid tumors,” (Poster #114) will be presented in Hall E on Saturday, Nov. 10 from 12:20 – 1:50 p.m. and 7:00 – 8:30 p.m.
Based in Franklin, Tenn., Pierian Biosciences is a privately held life sciences company offering the development and delivery of innovative, treatment-directing information, allowing providers to design patient-specific strategies that improve outcomes, quality of life and lower the cost of cancer care. The company’s technology includes the ChemoINTEL™, ImmunoINTEL™ and PathwayINTEL platforms. Pierian Biosciences has a laboratory in Franklin, Tenn. and business offices in Franklin, Tenn and the UK. For more information visit http://pierianbio.com/. FRANKLIN, Tenn., August, 22, 2017 — Pierian Biosciences, the premier developer of life science technologies providing treatment directing data to aid physicians in selecting the most appropriate therapy for their patients with cancer, has named Norman Purvis, PhD, to a new position, executive vice president of research and development for the company. ImmunoINTEL™ is Pierian Biosciences’ defined platform to provide more precise quantification and characterization of all tumor and immune populations within a tumor sample. This platform holds the promise to deliver a more comprehensive description of the tumor microenvironment and immune landscape allowing physicians to better stratify patients and guide the selection of immunotherapies. ChemoINTEL™ is the company’s chemosensitivity assay designed to accurately predict a patient’s response to chemotherapy. Pierian Biosciences is also developing PathwayINTEL detailing the functional biomarkers that predict the outcome of a targeted biologic therapy. Purvis will lead all platform operations of the company’s R&D teams to improve existing IVD product lines as well as initiate new product development. Working directly with Dr. Mark Gelder, chief medical officer, Purvis and the clinical team are working toward achievement of Food and Drug Administration Premarket Approval applications of In Vitro Diagnostic (IVD) products. Prior to being named executive vice president of research and development, Purvis was responsible for two of the Pierian Bioscience platforms, ChemoINTEL™ and ImmunoINTEL™. Before joining the company, he was the vice president of core technology for IncellDx in Menlo Park, California. He holds a PhD in chemical engineering from Vanderbilt University, and a master’s degree in biomedical engineering, also from Vanderbilt. In late February, the American Society of Clinical Oncology (ASCO) partnered with the Society for Immunotherapy of Cancer (SITC) to host the first ASCO-SITC Clinical Immuno-Oncology Symposium, held in Orlando. We learned about the leading clinical research regarding immunotherapy (IO) treatment and the gradual move from IO research to actual patient application. Immunotherapy uses the body’s immune system to help fight cancer. In the last five years, research has proven that manipulation of the immune system can control, or in some cases, completely eradicate tumors. ASCO is in alignment with this new area of oncology, most recently illustrated by the success of their inaugural immunotherapy symposium. As chemotherapy, radiation, and surgery are used to aggressively destroy cancer cells and tumors, with IO, researchers are working to develop strategies to harness the body’s own immune system to combat cancer. When the immune system is strengthened, risk on the patient’s long-term health is reduced in comparison to more aggressive cancer treatment approaches. When IO therapy is combined with traditional treatment approaches, the potential for positive outcomes accelerates substantially. Researchers have been testing immunotherapy as one component in dual combination cancer treatment. At ASCO’s symposium, many presenters mentioned the theory of the “abscopal effect” (ab meaning “away from,” and scopus meaning “target”), a term coined in the 1950s to describe the phenomenon when treating metastatic cancer with radiation. The abscopal effect occurs when the localized treatment of a tumor causes not only a shrinking of the treated tumor, but also a shrinking of other tumors outside the scope of irradiated area. A 2015 clinical trial, conducted by EB Golden and colleagues, demonstrated that abscopal responses were consistently detected in patients treated with the combination of radiation therapy and immunotherapy. In practice, a breast cancer patient receiving IO combined with radiation has been shown to demonstrate a positive response on a spinal lesion or other location in addition to the irradiated tumor. Researchers theorize that radiation primes the immune system to recognize tumor-specific targets as those cells die, which is then translated into a systemic effect. A concept similar to the abscopal effect is also being researched when combining chemotherapy and immunotherapy. To change the tumor’s microenvironment, researchers are using doses of chemo to destroy cells that are blocking the immune system from functioning, instead of using the dosage required to kill cancer cells. This process converts the unresponsive cells to responsive, allowing immunotherapy to work effectively. But knowing how much chemo is enough to kill the cells blocking the immune system, yet not so strong that it wipes out the body’s defense mechanism, is always difficult to assess. Questions remain: If someone were able to determine the correct dosage, would that be the same for all patients? Which patients would respond better to a combination of immunotherapy plus chemotherapy as opposed to those who would fare better with one treatment or the other? When considering the strength of chemotherapy, oncologists have zero wiggle room to take chances. At the symposium, industry leader Lisa Butterfield led a session on “Immune Biomarkers in the Blood” featuring research findings on immune biomarkers and their ability to offer insight into the interactions between the immune system and cancer. These interactions can help to define which immunotherapy should be selected to best defend the body using its immune system. The current research focus is on finding markers that suggest a patient will respond to any immunotherapy (IO), rather than using the biomarker to determine which IO would work best for their specific tumor and cancer. The more we know, the better the outcome. There is promise in functional assays to determine the best approach to cancer treatment, including one we’ve recently developed. Our latest assay, ImmunoINTEL™, identifies biomarkers in a tumor to allow oncologists to accurately personalize cancer treatment based on biology. The assay delivers the intelligence needed to determine which treatment or combinations of treatment will be most effective based on a patient’s actual tumor response in the lab, before introducing the treatment to the patient. With assay results driving the treatment regimen, patients can be protected from the risk they would encounter if aggressive treatments had been executed prior to running the assay. A functional assay can more precisely predict a cancer treatment outcome, cut costs by eliminating ineffective treatments, and improve the quality of the selected treatment(s), resulting in a more effective and successful treatment experience from day one. Mark Gelder, MD is Chief Medical Officer for Pierian. An experienced researcher and clinician, Dr. Gelder is board certified in Internal Medicine, Obstetrics and Gynecology. He is currently a fellow in the American College of Obstetrics and Gynecology. Winslow, R. Cancer’s Super-Survivors/How the Promise of Immunotherapy Is Transforming Oncology. Wall Street Journal. Dec 4 2016. Disis, M.L. & Kaufman, H.L. Cancer Immunotherapy: The End of the Beginning or the Beginning of the End. Ummunsym.org Daily News, published February 17, 2017. NASHVILLE, Tenn., April 18, 2017 – Pierian Biosciences, the premier developer of life science technologies providing treatment-directing data to aid physicians in selecting the most appropriate therapy for their patients with cancer, has named Dr. Judith Salerno to its board of directors. 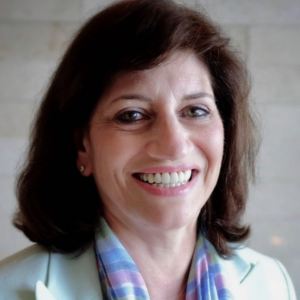 As president and CEO of Susan G. Komen, a $200 million breast cancer awareness and advocacy organization, Dr. Salerno developed and implemented a new strategic vision for Susan G. Komen. The “More Than Pink” campaign broadened the organization’s reach to include everyone impacted by the disease. Prior to joining Susan G. Komen, she was the executive officer at the Institute of Medicine, where she directed all scientific, policy, and operational efforts. She has also served as the deputy director of the National Institute on Aging, responsible for oversight of their $1B budget on aging research, as well as chief geriatric policy consultant for the Department of Veterans Affairs. A graduate of Harvard Medical School and Harvard University School of Public Health, Dr. Salerno is certified in the Commonwealth of Virginia and the District of Columbia. She is the recipient of many awards, including the NIH Director’s Award, Department of Veterans Affairs Exemplary Service Award and its highest award, the Meritorious Service Award, and the Surgeon General’s Crisis Response Service Award. She is currently active in Palliative Care and Health Policy issues through her work with the National Academy of Medicine, USC Schaeffer Center, and the Lancet Commission. Based in Franklin, Tenn., Pierian Biosciences is a privately held life sciences company offering the development and delivery of innovative, treatment-directing information, allowing providers to design patient-specific strategies that improve outcomes, quality of life and lower the cost of cancer care. The company’s technology includes the ChemoINTEL™, ImmunoINTEL™ and PathwayINTEL platforms. Pierian Biosciences has laboratories in Franklin, Tenn. and San Diego, CA and business offices in Franklin, Tenn and the UK. For more information visit http://pierianbio.com. Pierian Biosciences, the premier developer of life science technologies providing treatment directing data to aid physicians in selecting the most appropriate therapy for their patients with cancer, has named Mark S. Gelder, MD, as chief medical officer. “We rely on Mark to ensure the delivery of quality diagnostic assays: the immune-proximity assay, CEER®, recently renamed PathwayINTELTM, and our drug response profiling assay, MiCK®, recently renamed ChemoINTEL™TM,” says Robert Henry, president and chief executive officer of Pierian Biosciences. “We’ll also be looking for Mark to help us maintain our industry presence and guide the development of collaborative agreements with partners such as academic centers, pharmaceutical companies and oncologists.” In addition, Gelder provides medical, clinical and scientific oversight as well as helping to define the company’s strategic direction. roles at pharmaceutical companies including Pfizer, Wyeth, Bayer, GE Healthcare, Heron Therapeutics and Inovio Pharmaceuticals. A graduate of the University of Virginia School of Medicine, Gelder received his residency training in internal medicine at University of Virginia and an additional residency in obstetrics and gynecology at the University of Alabama at Birmingham. While at UAB, Gelder also completed a fellowship in gynecologic oncology. He is currently a fellow of the American College of Obstetrics and Gynecology. Pierian’s PathwayINTEL is a functional proteomic profiling assay which provides quantitative information on the expression and activation status of proteins of interest to identify the true oncogenic “driver” and allow selection of the most appropriate targeted and/or biologic therapy for cancer patients. ChemoINTEL™, the company’s functional drug response profiling assay, provides actionable information to guide selection on the effectiveness of cytotoxic agents to enhance clinical treatment decision-making. Based in Franklin, Tenn., Pierian Biosciences is a privately held life sciences and clinical pathology laboratory company offering treatment-directing diagnostic data to support more effective and lower cost cancer treatment. The company’s technology includes the ChemoINTEL™ and the PathwayINTEL Assay platforms. The company has laboratories in Franklin, Tenn. and San Diego, CA. For more information visit http://pierianbio.com.